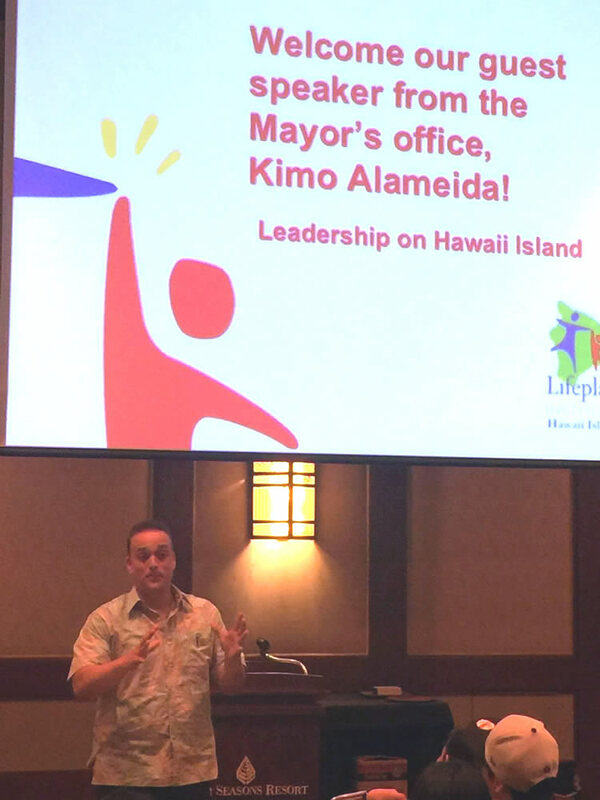 Lifeplan Institute | 10 Million Teenagers in 10 Years: Hawaii Lifeplan Youth Summit 2015 – Plan, Dream, Succeed! The youth were welcomed with a traditional Hawaiian blessing from Monte McComber of the Native Hawaiian Hospitality Association. 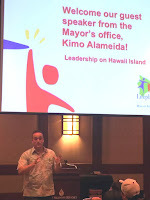 Kei-Lin Cerf, University of Hawaii, Erlinda Borges of the Hualalai Ohana Foundation, and Dr. Andy Mecca of the California Mentor Foundation set the stage for the day, providing context on the journey together. Tammy Furer, Vice Principal, shared how Lifeplan is a vital part of the high school community partnership experience at Kealakehe High School. To establish a plan for the future, I helped the young people re-examine their values, to know what is most important to them. Helping them review if their behavior is consistent with their values gives them the opportunity to understand how they feel better when this happens. To realize their dreams, Professor Lee Kooler worked with them to identify their personal Board of Directors and how to invite people to join their board. The young people had the opportunity to practice role-playing, inviting each other and then adults. Adult mentors that volunteer in the classrooms joined the group. 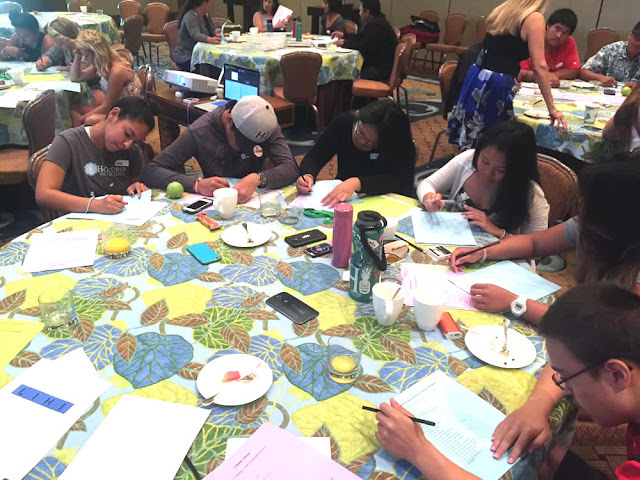 They shared their reasons for participating in the program and were recognized for their service by the Hualalai Ohana Foundation. 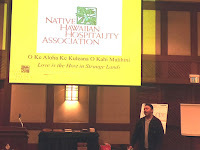 Brett Jacobson, Founder and CEO of Hawaiian OLA, and Derek Pittman, Sales Manager for Hawaiian OLA, modeled success. 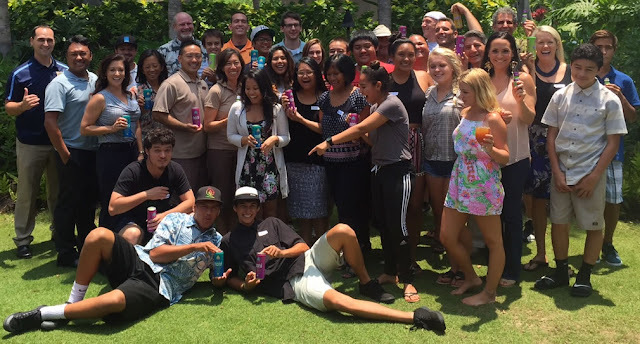 They shared how their values for sustainable agriculture and protection of the local Hawaiian economy lead them to the formation of their Benefit Corporation. They generously brought their beverage products to share with the group. Four speakers described their journey to personal success and enhanced our day. Beth D’Angelo, Fitness Director at the Four Seasons, shared how she changed the direction of her life and is how she now helps others be their best. She also got all of us moving using elastic bands. Caleb Milliken from Boys to Men talked about the importance of male role models in the lives of young men. Sgt. Gabriel Broomell shared how a military career was a rewarding way for him to follow his passion for serving others. Britt Merchant talked with the young people about going to college at UCLA and being a part of the rowing team for four years. She also talked about getting a Masters in Sports Management and how that led to a job at Stanford in their Athletic Department. The Sixth Annual Lifeplan Youth Leadership Summit highlights the success of Lifeplan as a catalyst for the school and community to come together to create a positive supportive school environment. The day provided the young people the chance to examine their plans, brighten their dreams and see their success more clearly!